Traditionally, left groups have called for the general strike – a mass economic strike of all workers – to overcome capitalism during one of its periods of crisis. History has shown that travelling this path without the wider working class having first gained the ideas and experience needed to defend our victories leads to the disasters of authoritarianism or counter-revolution. Even with these skills, the act of revolution has the danger of leading to splits as some groups baulk at certain actions or are happy to settle for partial outcomes. To prevent this from happening a revolutionary consciousness will be required throughout the working class in order to ensure we do not settle for partial outcomes and instead remain focused upon achieving social revolution. 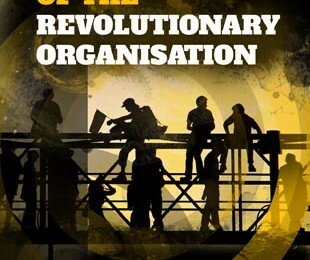 Groups sharing this revolutionary consciousness may federate into relatively few organisations, bringing together all those who see the need for the victory of the working class. It is then that a general political strike – using both mass industrial action and mass social protest – has the best chance of victory. In this revolutionary period the anarchist organisation must call for and assist in the formation of armed workers’ militias to defend themselves and their gains. The revolutionary organisation must help fight against any party or organisation that aims to take power in the name of the working class. If force is used to destroy the gains of the working class then anarchist organisations must be fully prepared to combat this on a physical level. Revolutionary organisations would not dissolve immediately after the initial insurrectionary phase of the revolution, but will continue to struggle until the class system is abolished and anarchist communism is achieved. When this ideal is realised, the organisation becomes irrelevant and effectively disbands as members participate in the free society.